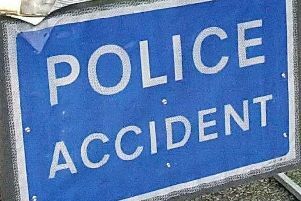 A section of the A27 was closed for several hours today after a serious collision took place, police confirmed. Traffic was brought to a standstill while the A27 Lewes priory westbound carriageway was closed. Police have confirmed that a white Iveco minibus and a white Mercedes C class collided between Southerham roundabout and Kingston roundabout. Both vehicles overturned upon impact, resulting in the Mercedes catching fire, police said. The driver of the mercedes, a 50-year-old man from Seaford received serious injuries, and was taken to the Royal Sussex hospital in Brighton where he is receiving treatment, said police. The driver of the minibus, a 51-year-old man from Dagenham, received minor injuries, police confirmed. Police said that thankfully no passengers were aboard the minibus at the time. The A27 was closed for several hours while the emergency services provided emergency care to the injured people and began an investigation. Police would like to thank members of the public who stopped and assisted at the scene and for the patience of those who were stuck in traffic while the road was closed.